The Ride Janie Ride Foundation would like to introduce to you three very special people. We have been blessed to meet Elizabeth "Lizzie" Pinion, Connor Robinson and Faith Robinson. Lizzie was dianosed with Anaplastic Medulloblastoma, Connor and Faith have been diagnosed with Acute Lymphoblastic Leukemia. It is our honor to have them as part of the Ride Janie Ride family and we take great pride in announcing that Lizzie, Connor and Faith will be the recipients for Ride Janie Ride 2013. Continue scrolling to read each of their biographies. Ride Janie Ride Foundation would like to thank all of those who nominated individuals. We will not forget any of the nominees and hope that they may be a part of Ride Janie Ride for 2014. Lizzie was diagnosed with anaplastic medulloblastoma, a fast growing cancer on April 12, 2012. She was having bad headaches for a week that was making her vomit; it was rare for her to get headaches, and especially ones that would make her sick. After the 4th time of getting a headache and vomiting, we decided to take her to the hospital. While at Kishwaukee Community Hospital a CT scan found a golf ball size brain tumor at the bottom of her brain. We were sent to Children's Memorial Hospital in Chicago and the tumor was removed the very next day. Children's tested the tumor and found the cancer. The Doctors managed to remove the entire tumor. 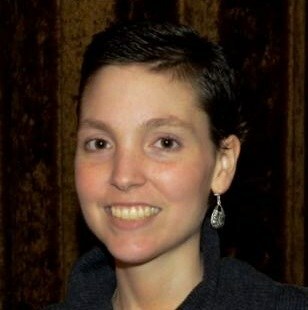 Lizzie went through chemotherapy at Central Dupage Hospital in Winfield and proton radiation therapy at Procure in Warrenville from May thru June of 2012. After the 6 weeks of Chemo and radiation, Lizzie then had to go to Ann and Robert H Lurie Children's hospital in Chicago once a month spending three nights there for 6 months for additional chemotherapy from August 2012 - January 2013. Lizzie will finish her chemo in 2013. She will have MRIs every 3 months for at least year, making sure this aggressive cancer stays gone! During Lizzie's 6 weeks of treatment at CDH, she met Faith Robinson who was battling Leukemia for the 2nd time. 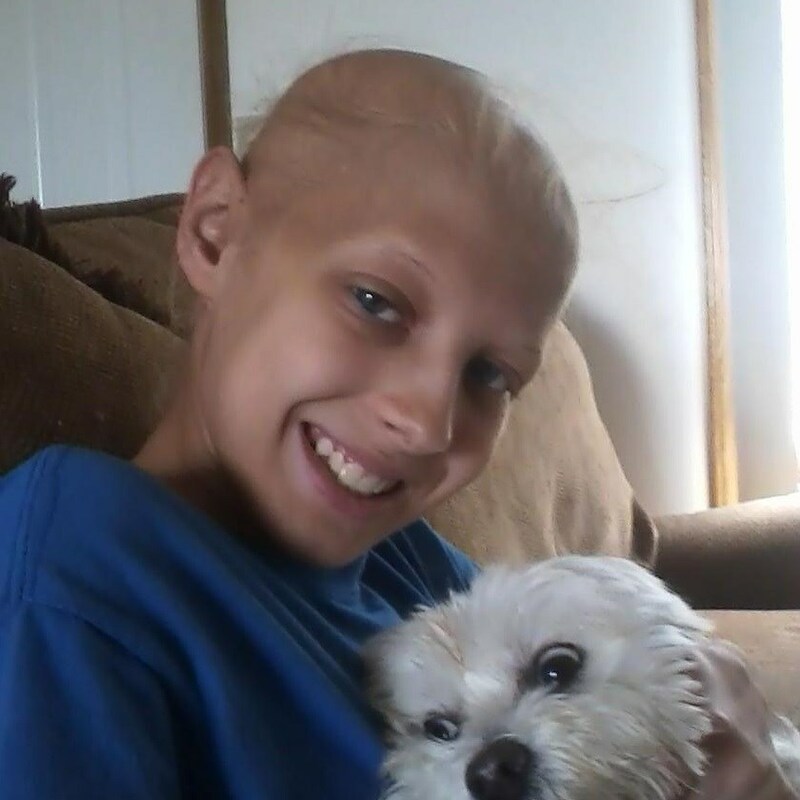 Faith talked to Lizzie about chemo and losing her hair for the 2nd time. After talking with Faith, Lizzie didn't care about losing her hair, and she never wore a scarf or wig after that. A Big Huge thank you to Faith for helping Lizzie through a very difficult time!! I was diagnosed with Acute Lymphoblastic Leukemia on April 1, 2010 when I was 9 years old. My sister Faith had the same type of cancer and was diagnosed on May 28, 2008, when she was 15. I am in remission and I had to receive treatments for 39 months but, I have about 6 months left to go before finishing. We have been extremely fortunate to be a part of such a loving and caring community that from the very first moment word began to spread, has been there for us in a multitude of ways and has over the past 5 1/2 years of our journey, continued to embrace and support us in ways both big and small. It has not been easy for us to be such a public story and to be in the spotlight but the moment that my dad came home from the doctor with the terrible news on that long ago May morning, we made a conscious decision to go forward and be very open and forthright with his diagnosis and his treatment, not only within our family, but publicly as well. After all, this could have happened to anyone and we certainly didn't choose for this to happen to us or do anything to put ourselves in this position, so we felt it best for our family, especially us kids, to be totally honest wherever the road would lead. Although this approach might not have been the best choice for everyone, it was for us and I think that because of the way we chose to handle it, we have received such an outpouring of support which continues even now. Although it is not what any of us, my mom, my brothers, ages 21, 15 and 11 or me, 19, would have chosen, for the past 5 1/2 years, cancer has been a part of our everyday life. Our journey with cancer began in May of 2007, when after experiencing weight loss and stomach pain, my dad was diagnosed with gastric cancer. He had just turned 48 years old ten days earlier and at the time was the father of four children, the youngest of which had just turned 6 and was in kindergarten. Despite the treatment options they had to offer, the doctors were not optimistic that this young, active and athletic father would see his children graduate from high school, walk me down the aisle or do any of the thousands of other things with your kids that parents are "supposed" to do. I was diagnosed with Acute Lymphoblastic Leukemia on May 28, 2008, at the age of 15. Since then, I completed 27 months of treatment in September of 2010, before I relapsed on October 10, 2011. I suppose the most heartbreaking part of this is that for my family, there is no "normal" anymore. You remember the milestones in your life by whether or not you were in the hospital and numbers like 20 (the number of nights we spent in the hospital in January and February of 2012), 29 (the even longer number of nights of our most recent hospital stay in September and October) and dates like May 4, 2007, (my dad's date of diagnosis), May 28, 2008, (my date of diagnosis), December 24, 2008, 10:30 p.m. trip to be admitted to the hospital with a fever of 101 while the rest of the world was celebrating Christmas), April 1, 2010, (my brother Connor's date of diagnosis), October 10, 2011, (my relapse), January 14, 2012, (the night I was admitted with a fever of 104 and would spend the next 20 nights at CDH) and October 4, 2012, (the morning that I "coded" and almost died), August 2008 (when my father passed away) become etched in your mind along with your our birth dates, anniversaries and all of the other important dates we remember, but for all of the wrong reasons. I am back in remission and receiving treatment while my brother Connor has only about 6 months to go before finishing his 39 month treatment plan. Please know that our family sincerely appreciates being selected and thank you for all of your efforts in offering financial assistance to families impacted by a cancer diagnosis. Please know that your organization has our full support as you continue to make a difference and perhaps, make life just a little bit more "normal" for the families that are the recipients of your work.